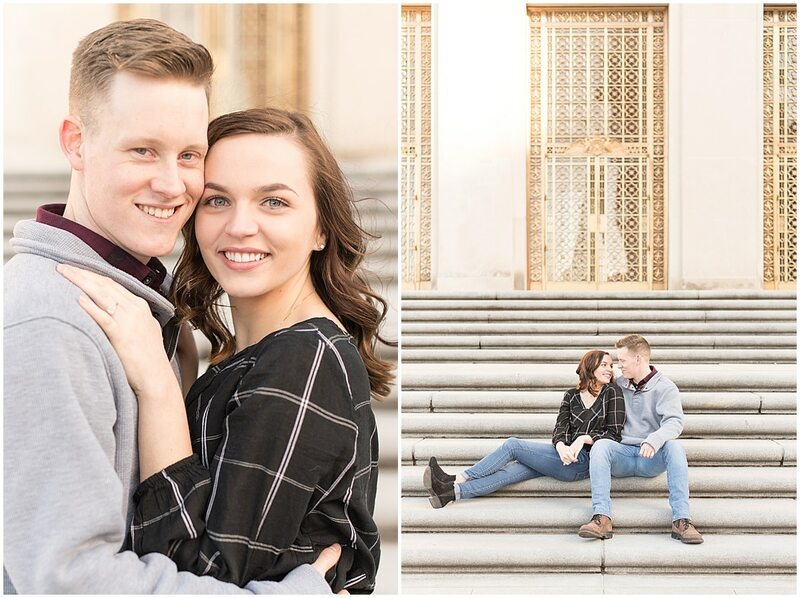 Between the holidays, sessions, editing, and planning for the In Focus Marketing Summit, I’m a little behind on blogs, but I’m SO excited to finally share David and Rachel’s Christmas engagement photos in downtown Indianapolis! Life Lesson: Mamas always know best! 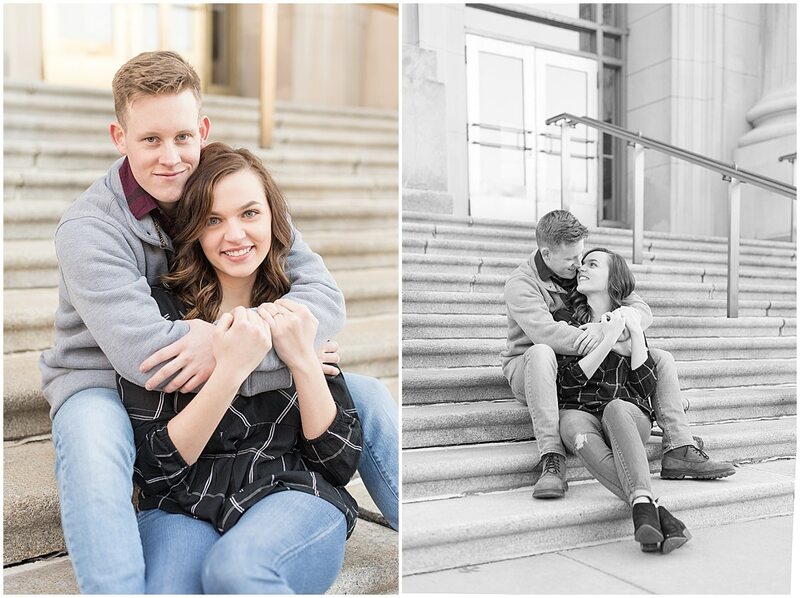 So, before we dive into their session, I have to tell you how David and Rachel met. In 2015, Rachel started a new job and met David’s mom, Terrie. 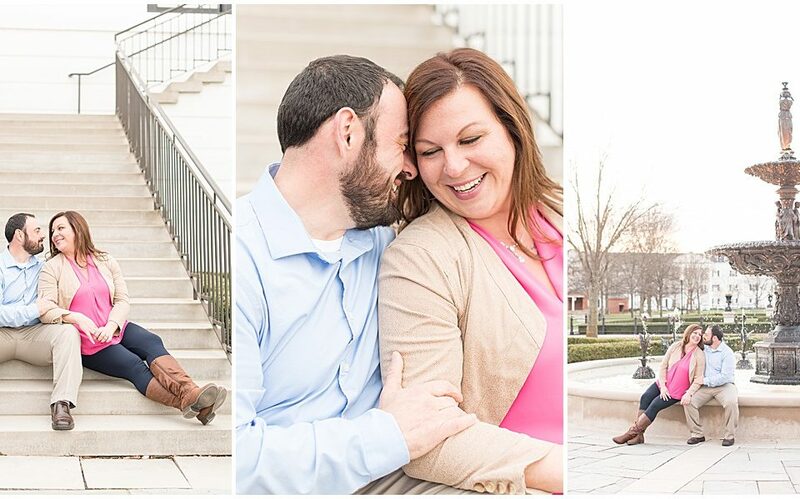 After a few days, Rachel and Terrie realized that Terrie’s son (David’s twin brother) and Rachel’s brother were good friends and had been for most of Rachel’s life. Small world! Rachel and Terrie enjoyed working together and got to know one another well. After a while, Terrie told Rachel that she’d really like to set Rachel up with her son David, who was currently in Army training. David and Rachel weren’t sure about the setup, but Rachel couldn’t resist at least seeing if Terrie was onto something. So, Rachel contacted David. 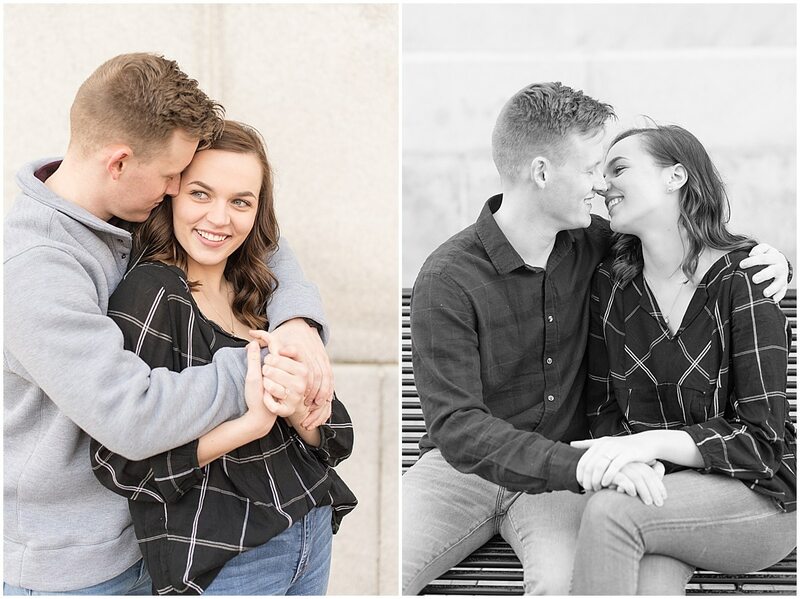 For the next few months, while David was away, Rachel and David texted, chatted online, and decided they should meet in person when David was home next. When David came home a few months later, it didn’t take long for them to realize that Terrie was 100% right about the match. Shortly after, David was stationed in Fort Wainwright, Alaska. 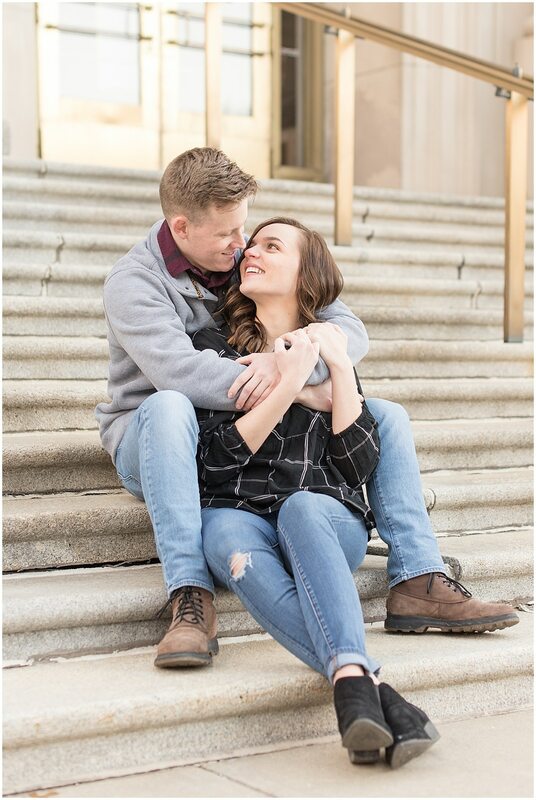 While I’m sure Rachel would’ve loved to have David closer to home, this darling couple made it a priority to see each other every few months for a year and a half. 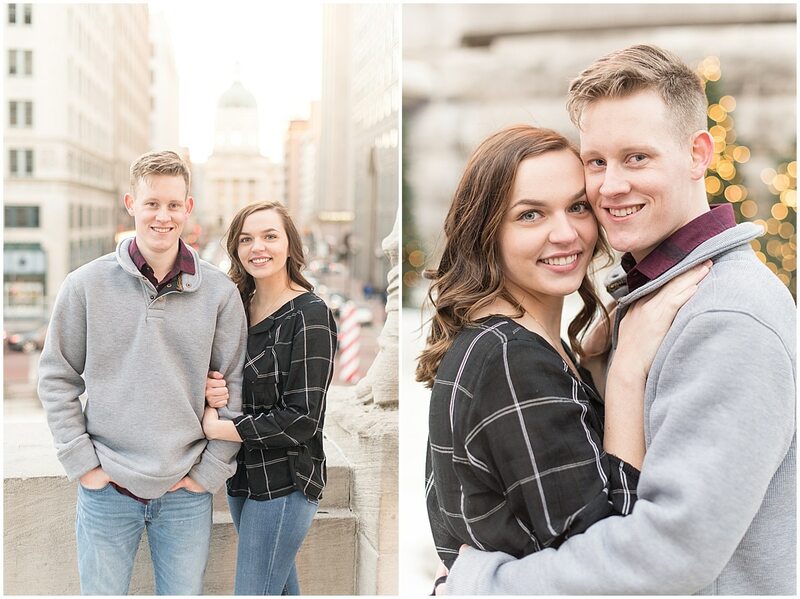 David came home to Lafayette, Indiana when he could, and Rachel even got to make trips to Alaska where they hiked, went dog sledding, and explored. 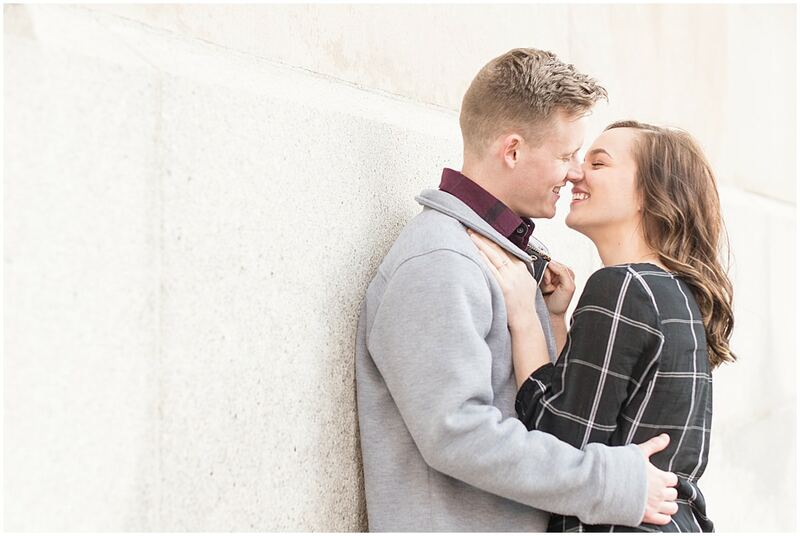 Knowing Rachel was everything David had ever hoped for, he planned a trip to Chicago for just the two of them and popped the question in December 2017. 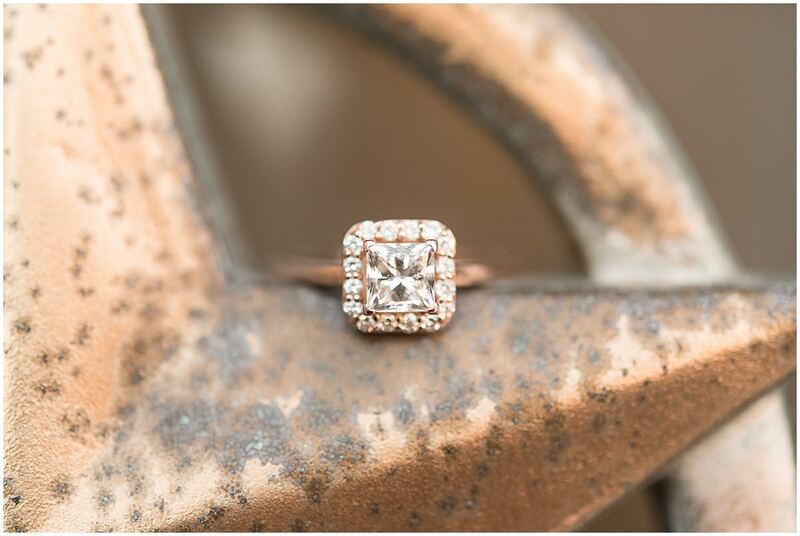 She, of course, said yes! 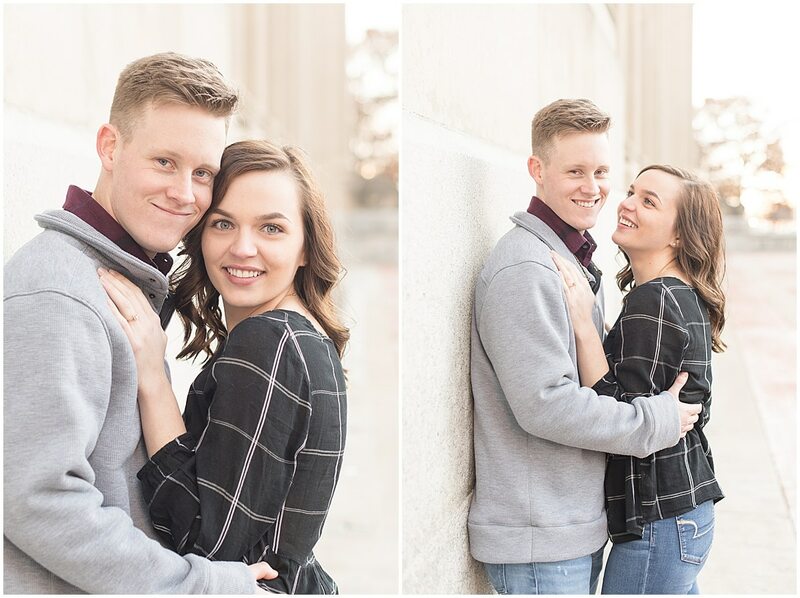 We fit David & Rachel’s engagement session in while David was home for Christmas. 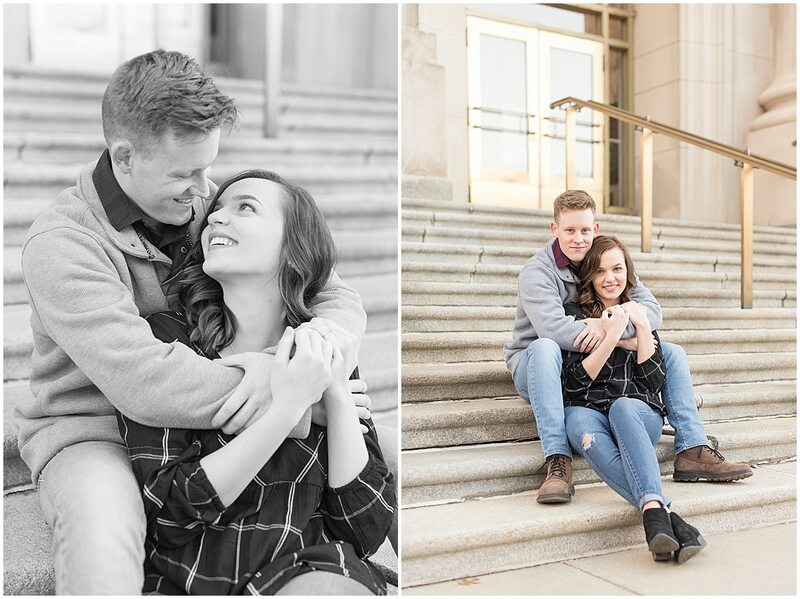 Rachel and I met for coffee to chat about wedding photos this past summer, and guys, I was instantly in love with her! I mean, we have a lot in common. 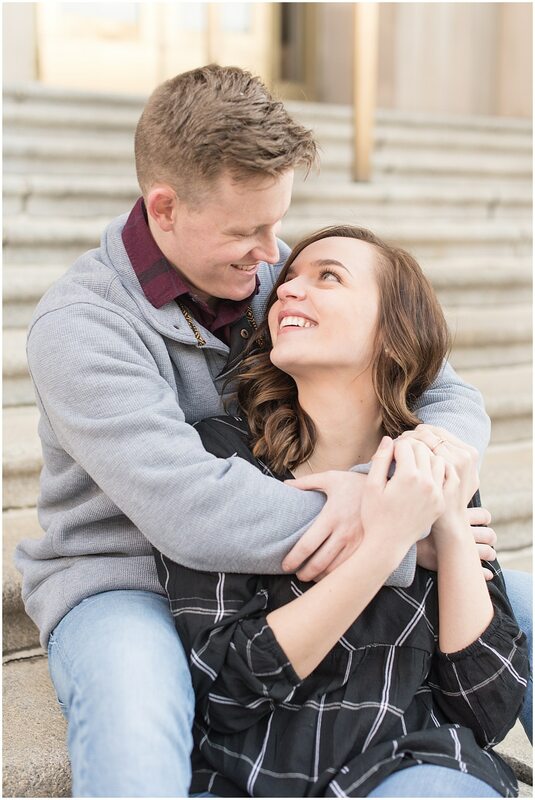 I was still in school when Zach and I got married, and Rachel will still be studying nursing at Purdue when she and David tie the knot in June 2020. 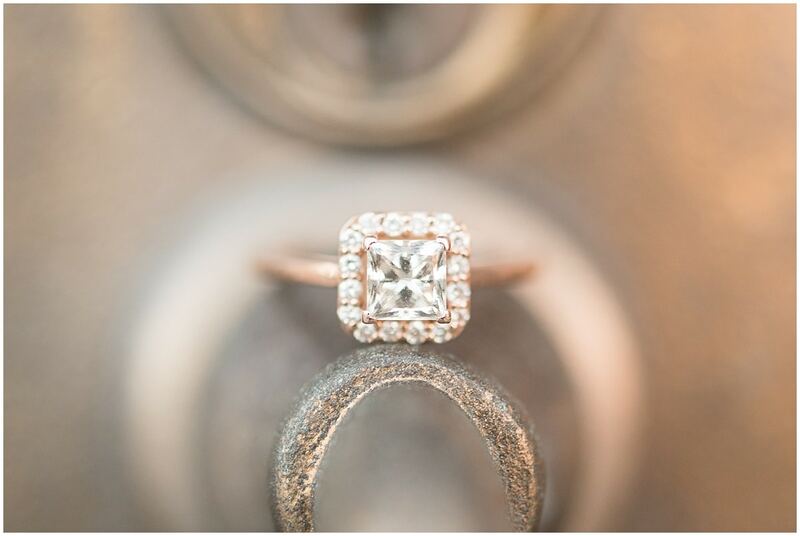 I’ll forever have a special place in my heart for young brides! Anyway, with David’s schedule, Rachel wasn’t 100% sure when he’d be home next and when they’d be available for engagement photos. She was pretty sure, and certainly hoping, that he’d be home for Christmas. 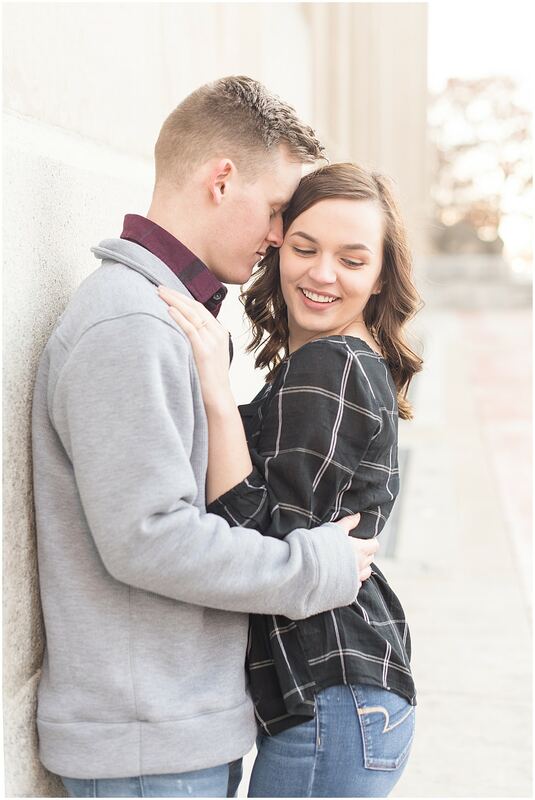 I told her not to worry and that we could just play their engagement session by ear. 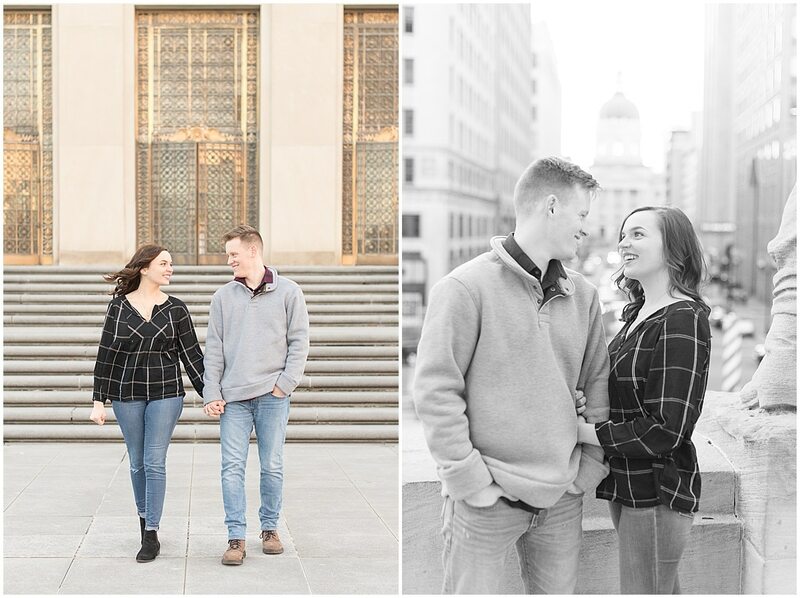 Fortunately, David was able to come home for Christmas and fit in Christmas engagement photos in downtown Indianapolis! 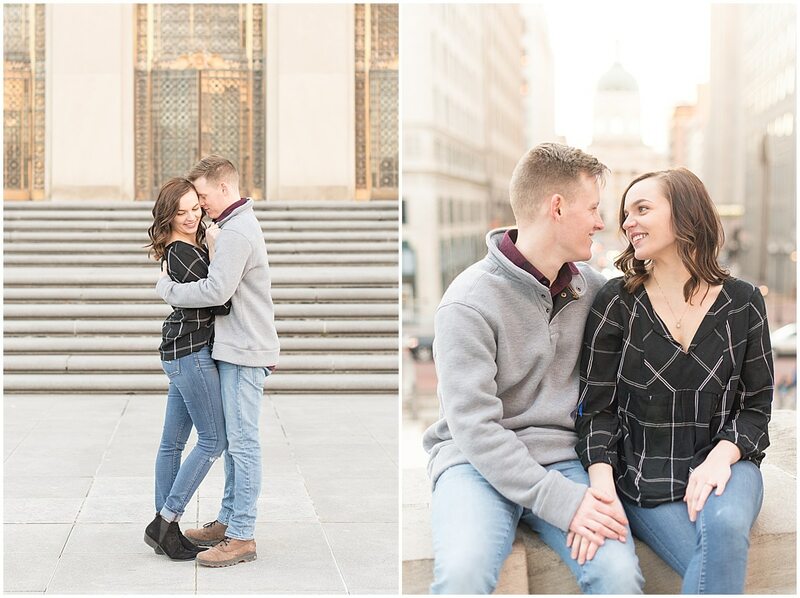 Nothing beats Christmas engagement photos in Downtown Indianapolis! 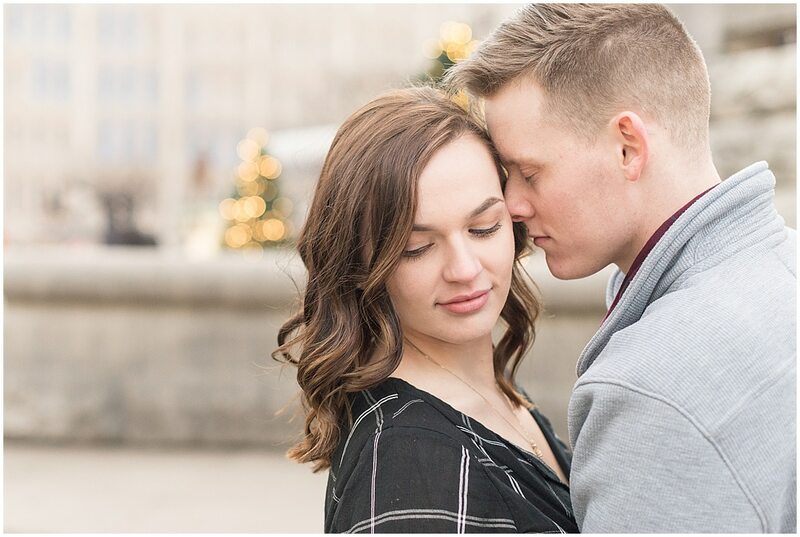 While I don’t shoot many winter sessions (Indiana only has a few pretty winter days per year), I wanted to get this amazing couple’s session in while David was home and we had the chance. 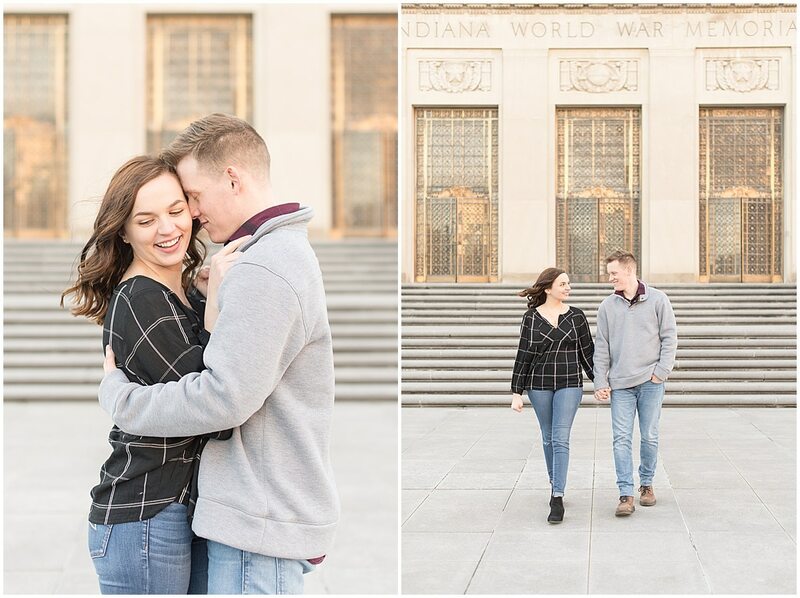 Since there wasn’t any snow on the ground, I suggested we shoot their session in downtown Indy to take advantage of the beautiful limestone and Christmas decor, as opposed to Indiana’s grey and brown fields. Luckily, David and Rachel LOVE Christmas, so this worked out perfectly! It was chilly at about 40 degrees, but because Dave spends most of his time in Alaska, he was burning up! Thank you for being a good sport in your sweater, David, but you had me laughing pretty hard! Please pray for David & Rachel. 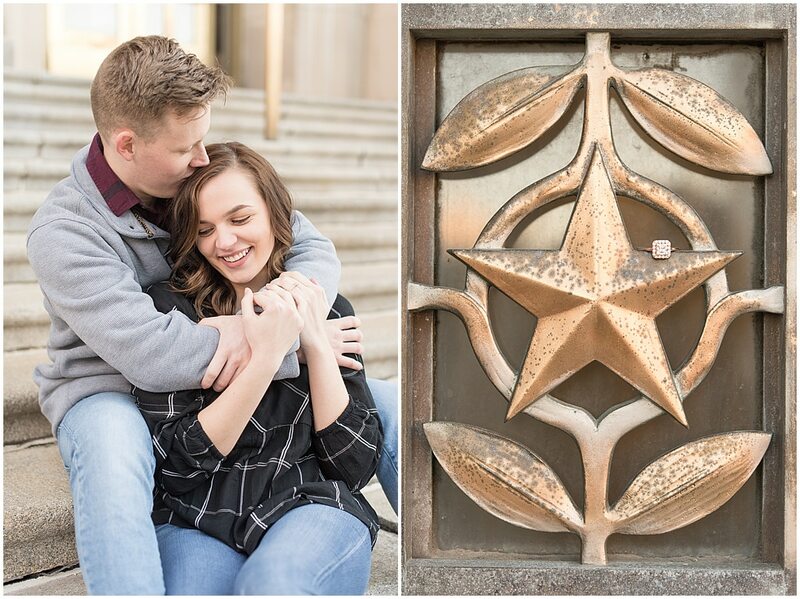 While I loved every second of David and Rachel’s engagement session and know their wedding will be incredible (They’re lots of fun and are decorating with pastel colors, peonies, and succulents! ), David and Rachel could use your prayers. At the end of 2018, Rachel wasn’t feeling well, and after visiting a few doctors, she was diagnosed with cancer. Her doctors feel confident that she’ll pull through, but in the midst of going to school and planning a wedding, Rachel is also going through chemo. 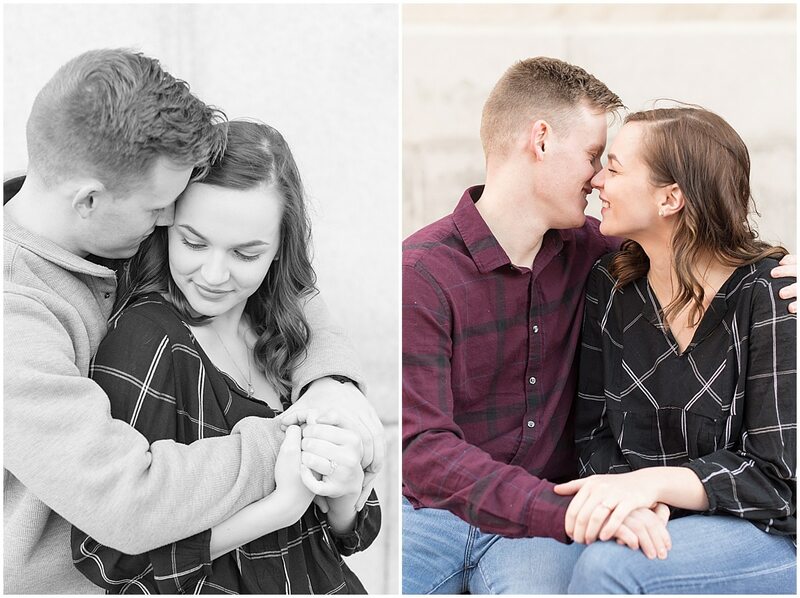 Please keep Rachel’s health, Dave’s safety, and this sweet couple’s relationship (I can’t imagine dealing with all of this when you’re so far apart), in your prayers. 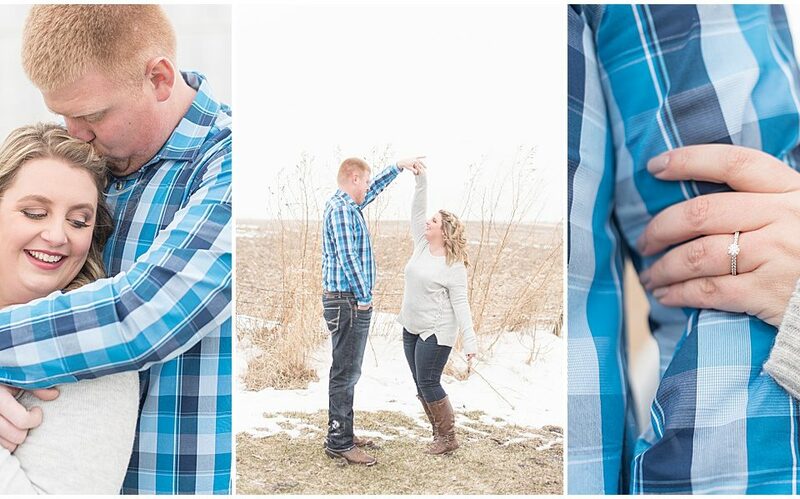 David and Rachel, I can’t tell you how honored I am that you’re allowing me to capture your big day. 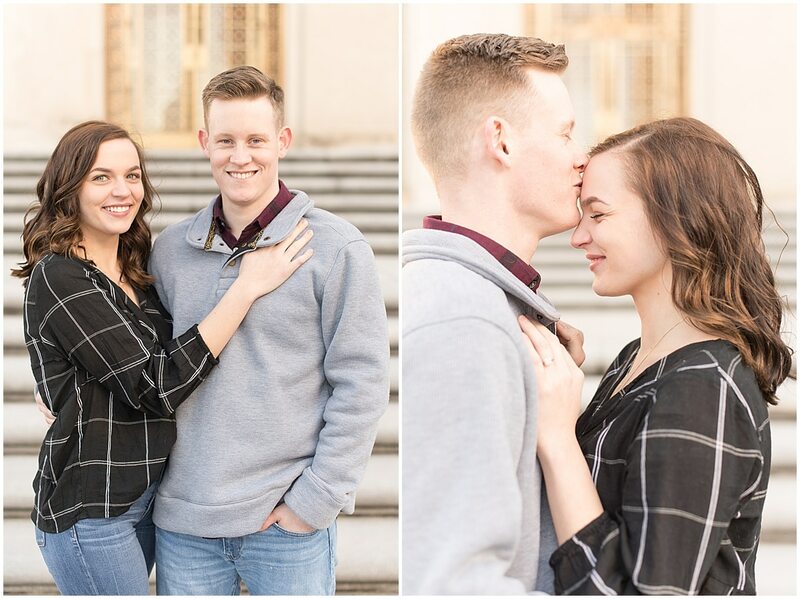 You two are one in a million, and I know that your wedding will be a celebration filled with fun, joy, and love. Thank you for trusting me to be your wedding photographer. 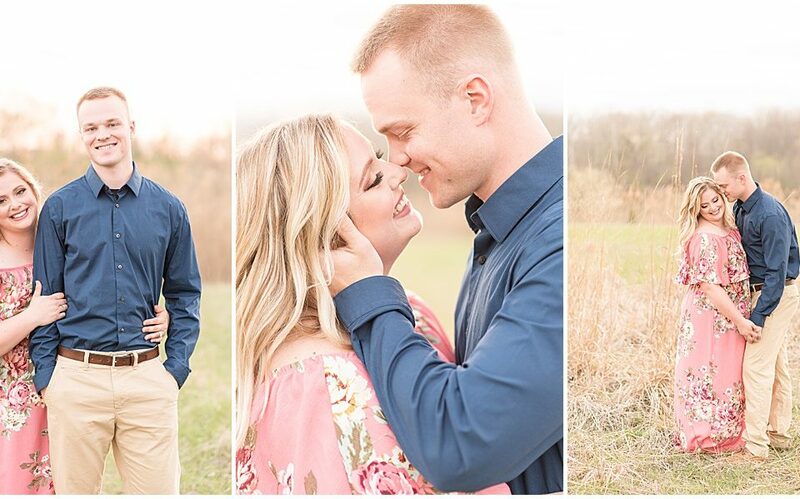 I hope June 8, 2019 arrives quickly because you guys deserve the most perfect wedding day! 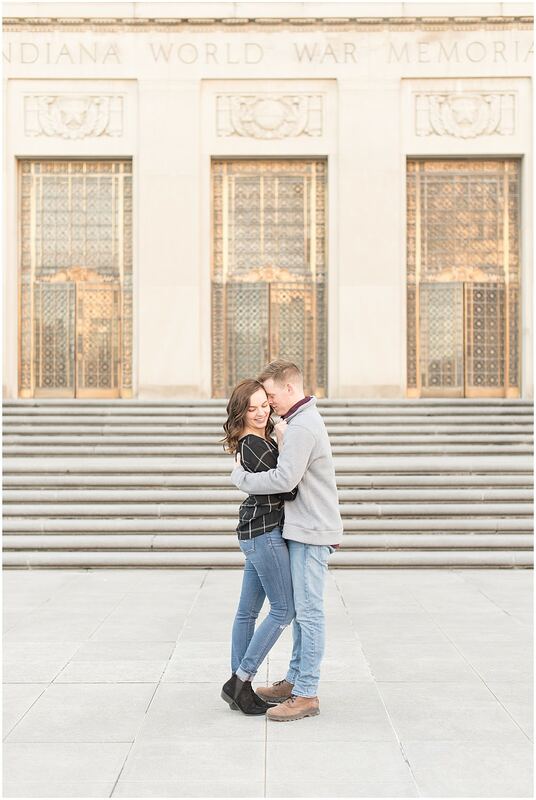 I’d love to meet you for coffee and learn more about your big day!